I've been flat-out sick for the last 2 weeks and was getting so bored I just had to have a little play this weekend to keep my sanity! When I'm feeling like making something. When I'm thinking about making something. When I'm dreaming about making something. ...maybe I'm a bit obsessed. 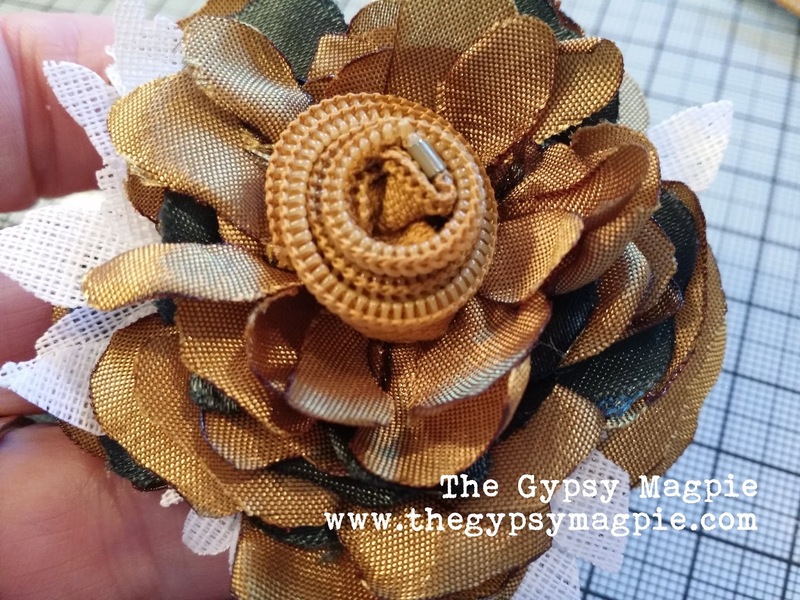 I grabbed some polyester/rayon blend lining material (it was such a gorgeous golden color) and a tea light, plus the Shabby Posies, Pinwheel Posies and Frayed Posies die sets. The dies cut right through the fabric with no trouble at all; once they were all cut out, I held each flower over the flame from the tea light and watched closely as the heat melted the raw edge of the fabric. It also gives a slight curl to each petal. I made whole stack of petals so that there would be lots of layers! A couple of them were cut from a deep green and also a few from some heavy duty woven interfacing. Once they were done, I piled them up, ran a few stitches through the center to hold the whole thing together and then used a zipper to create the center of the flower. This paper bag envelope was made with vintage sheet music and I love it so much! The die made this really super simple and it turned out perfect- in about 2 minutes flat. 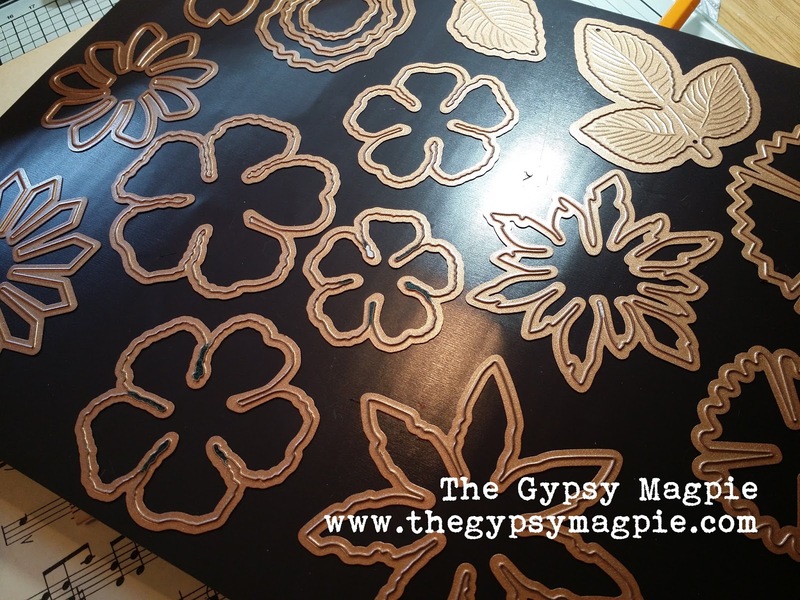 Once the flower was glued on, all it needed was a little snip of a tag to stamp with a sweet sentiment. I used some heavy watercolor paper to cut out the Shortie Tab- the weight of that paper really makes a beautiful tag. oooooooh! This is scrumptious! 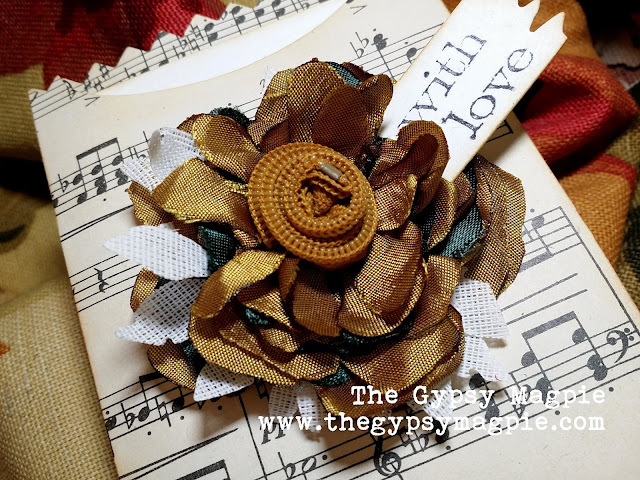 I love the texture and fullness of that shabbylicious flower! The color is divine, too. 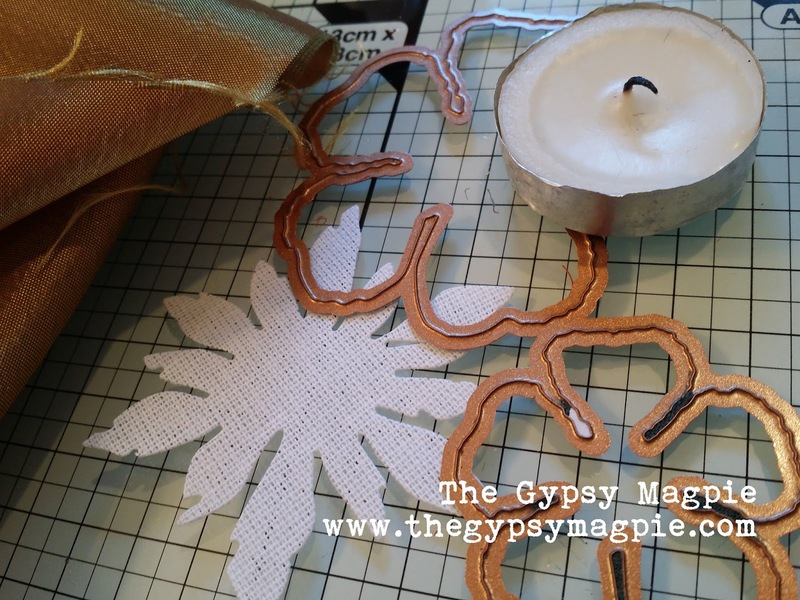 I have also been eyeing the paper bag die, but like you, was sick over the holidays. I'm just now starting to feel human again, so perhaps I will get that die out and have a play. I am such a fan of your work. Everything you do is just magical. Happy New Year, Terri! Oh my gosh, I'm in love with your flower! 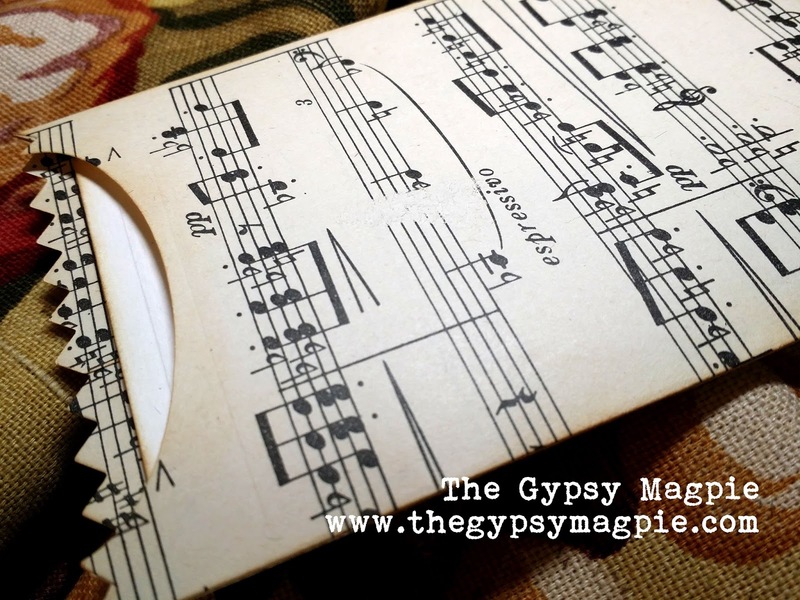 So many layers and on the envelope with the vintage sheet music, it's the perfect pair! Love it! 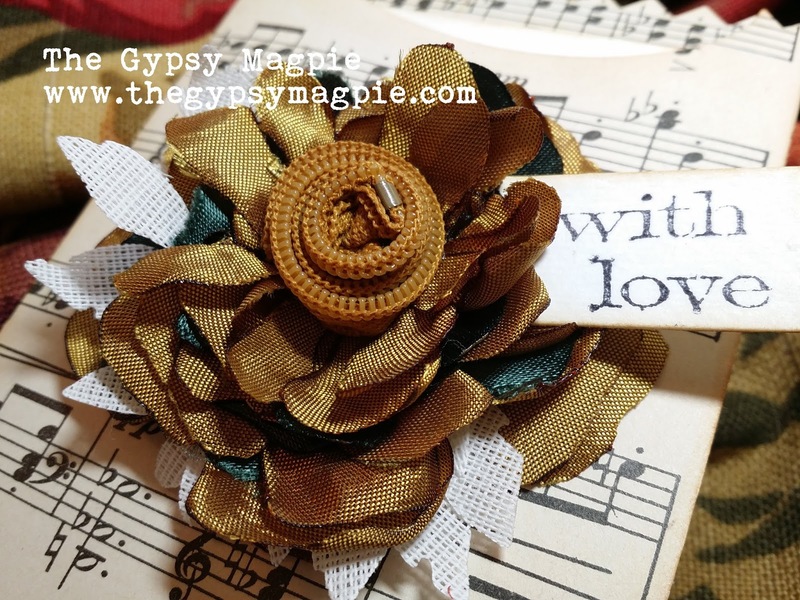 Fabulous combination of this gorgeous flower and the music envelope! And how fun to use a zipper as the center of your flower. This is wonderful! The flower is absolutely gorgeous. And the sheet music bag is perfect.